At Rosewood Manor our dining service comes alive with a variety of flavors and choices. Our dining service manager and cooks don’t only prepare three nutritious meals a day, but they provide a dining experience with freedom of choice. Breakfast is not just another meal, it’s the start to a day full of activity at Rosewood Manor! That means eggs cooked to your request, pancakes, bacon, sausage, biscuits and gravy, fresh fruit, or hot and cold cereal. You tell us how you like it and we will gladly cook it your way! At Rosewood Manor we pride ourselves on fresh made salads and homemade soups using locally grown fruits and vegetables whenever possible. 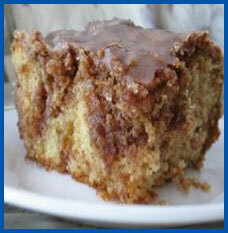 Follow that with a simmering Salisbury steak or Italian spaghetti and meat balls and finish with an incredible piece of honey bun cake! Our meals are always served with presentation in mind, but a home flavor that will stir anyone’s appetite is what we’re known for! With the freedom of healthy choices or savory satiation at every meal Rosewood Manor dining service is sure to satisfy all of our residents.